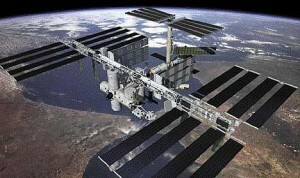 The International Space Station will be a special treat for all of us in Southern California Tonight (March 2nd 2012). For those of you who may be new to viewing it the ISS will be visible as one of the brightest (mostly the brightest) star-like object in the sky as it passes approximately 200 miles overhead at over 17000 mph. Tonight the Space Station will be about the brightest it can theoretically be as it rises in the North West at 6:20pm and heads nearly overhead in the North East by 6:23pm and then sets over in the South East by 6:25pm. So… it will be visible for a full 6 minutes or so. Remember to wave to the 6 astronauts who are up there right now. Click on the date for each pass for further detail on this visible pass of the ISS.